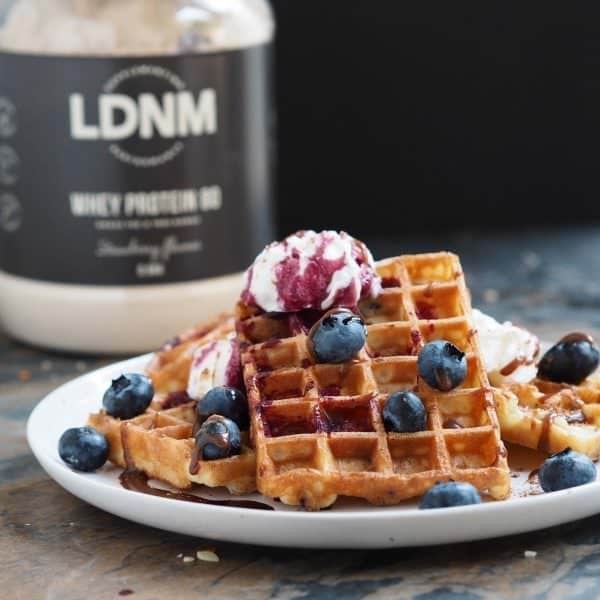 Try these delicious protein waffles today; high in protein and super low in carbs, ideal for snacking! Blend ingredients together until smooth using a fork. Grease waffle maker and add to the HOT waffle griddle. Close and cook as you would a regular waffle. Serve with fresh fruits or sugar free syrup.